Daniel Simon is a visionaire in the field of advanced vehicle design. He is currently Chief Design Officer at Roborace — the world’s first racing league for autonomous cars — and Design Deputy at Singer Vehicle Design — the boutique restoration house most well-known for its re-imaginations of the Porsche 911. Previously, Simon created lead vehicles for science fiction films such as Tron:Legacy, Oblivion, and Star Wars. Growing up in a ship-building family on the coast of Germany, Simon later began his automotive creative journey at the Design Centre Europe of Volkswagen in Spain, and returned to Germany in 2005 where he became Senior Designer at Bugatti Automobiles. He resides in Los Angeles since 2008 and consults for a variety of transportation startups, as well as brands such as Audi, Nike, Formula E, and SpaceX. Simon’s work delicately blurs the lines between past and present, as he believes that advanced products are more successful if they contain traces from an informed past. Besides such thoughtfulness, he also preserved the curiosity of his childhood — and relentlessly asks ‘what if?’ on the quest for better solutions. 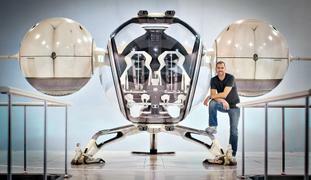 Daniel Simon is a visionaire in the field of advanced vehicle design. He is currently Chief Design Officer at Roborace — the world’s first racing league for autonomous cars — and Design Deputy at Singer Vehicle Design — the boutique restoration house most well-known for its re-imaginations of the Porsche 911. Previously, Simon created lead vehicles for science fiction films such as Tron:Legacy, Oblivion, and Star Wars. Growing up in a ship-building family on the coast of Germany, Simon later began his automotive creative journey at the Design Centre Europe of Volkswagen in Spain, and returned to Germany in 2005 where he became Senior Designer at Bugatti Automobiles. He resides in Los Angeles since 2008 and consults for a variety of transportation startups, as well as brands such as Audi, Nike, Formula E, and SpaceX. Simon’s work delicately blurs the lines between past and present, as he believes that advanced products are more successful if they contain traces from an informed past. Besides such thoughtfulness, he also preserved the curiosity of his childhood — and relentlessly asks ‘what if?’ on the quest for better solutions. 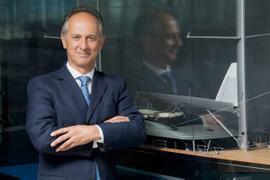 Alberto Galassi is Chief Executive Officer of the Ferretti Group, a world leader in the design, construction, and sale of motor yachts and ranging from 8 to 90 metres with a portfolio of seven iconic Italian brands including: Ferretti Yachts, Riva, Pershing, Itama, Mochi Craft, CRN and Custom Line. In addition to these brands, in February 2015, Ferretti Security & Defense was created as the Group’s business division dedicated to naval platforms for security and patrol missions. In late 2013, Mr Galassi was selected by the Weichai Group to join the Board of Directors of the Ferretti Group and in 2014 was appointed Chief Executive Officer of the Company. In June 2012, Mr Galassi joined the Board of Directors at Manchester City Football Club winning its first championship in the same year, 2012. Mr Galassi became a member of the Piaggio Aero Industries’ Board of Directors, responsible for Marketing and Sales in 1998. Piaggio Aero (now Piaggio Aerospace) is the only Italian private company active both in aircraft and aero engines, design, manufacturing and MRO. In 2008 Alberto Galassi was appointed as Chief Executive Officer of the Company and in 2014 was named Chairman of Piaggio Aerospace. Mr Galassi is an attorney at law, specialising in International Commerce and Arbitration at the UCLA University. 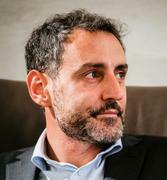 From 1995 to 1997 Alberto Galassi held the position of Board Member delegate to Sales and Marketing at Novico, an industry leader producing medical and healthcare equipment. Frank Pollaro founded Pollaro Custom Furniture, Inc. in 1988; a highly successful producer of museum quality furniture for residences, superyachts, and select corporate projects. The company, located in 60,000 square feet in Hillside, NJ, employs 45 master craftsmen, skilled in the disciplines of furniture making, finishing, special finishes, gilding, veneer work, carving, design, engineering, drafting, metalworking, and upholstery. All of these departments exist inside of one building. The Company also houses the largest collection of wood veneer and timber in the world with over 600 unique logs and 100 species. The wood collection is presented in a dramatic setting. Pollaro has completed more than 3,000 projects for clients on six continents. The firm typically produces about 200 pieces of furniture in a year. Each piece is hand made, without the use of computerized machinery. Pollaro’s client list includes the world’s finest shipyards including Lürssen and Feadship as well as top interior design and architecture firms. Selected clients include members global business community such as Larry Ellison, CEO of Oracle; David Geffen, CEO of DreamWorks ; Lee Kun-Hee, CEO of Samsung; and Hui Ka Yan, CEO of Evergrande Real Estate Group in Shenzhen, China. Pollaro is lauded for creating special environments for their homes, yachts, and offices. In September 2017 Pollaro unveiled The Teak + Titanium Collection of fine exterior furniture at the Monaco Yacht Show in Monte Carlo. A family of pieces designed by Pollaro for ultra-luxury, exclusively built from Burmese teak and pure titanium. Frank holds five design patents. The latest, is a design created for Steinway & Sons, commemorating the milestone of their 600,000th piano. The Pollaro designed and built Fibonacci Art Case piano was sold to a private collector for a record setting $2.4 million US dollars. Frank has collaborated with Brad Pitt on the creation of a furniture collection designed by Brad and fabricated by Pollaro Custom Furniture. The Pitt-Pollaro collection was featured in over 300 publications globally. Pitt and Pollaro continue to collaborate with new pieces planned for release in 2019. Frank has been the subject of more than 400 articles in the decorative arts press and has personally authored more than 30 articles on fine woodworking, and has lectured nationwide on Ruhlmann and woodworking business. Frank Pollaro founded Pollaro Custom Furniture, Inc. in 1988; a highly successful producer of museum quality furniture for residences, superyachts, and select corporate projects. The company, located in 60,000 square feet in Hillside, NJ, employs 45 master craftsmen, skilled in the disciplines of furniture making, finishing, special finishes, gilding, veneer work, carving, design, engineering, drafting, metalworking, and upholstery. All of these departments exist inside of one building. The Company also houses the largest collection of wood veneer and timber in the world with over 600 unique logs and 100 species. The wood collection is presented in a dramatic setting. Pollaro has completed more than 3,000 projects for clients on six continents. The firm typically produces about 200 pieces of furniture in a year. Each piece is hand made, without the use of computerized machinery. Pollaro’s client list includes the world’s finest shipyards including Lürssen and Feadship as well as top interior design and architecture firms. Selected clients include members global business community such as Larry Ellison, CEO of Oracle; David Geffen, CEO of DreamWorks ; Lee Kun-Hee, CEO of Samsung; and Hui Ka Yan, CEO of Evergrande Real Estate Group in Shenzhen, China. Pollaro is lauded for creating special environments for their homes, yachts, and offices. In September 2017 Pollaro unveiled The Teak + Titanium Collection of fine exterior furniture at the Monaco Yacht Show in Monte Carlo. A family of pieces designed by Pollaro for ultra-luxury, exclusively built from Burmese teak and pure titanium. Frank holds five design patents. The latest, is a design created for Steinway & Sons, commemorating the milestone of their 600,000th piano. The Pollaro designed and built Fibonacci Art Case piano was sold to a private collector for a record setting $2.4 million US dollars. Frank has collaborated with Brad Pitt on the creation of a furniture collection designed by Brad and fabricated by Pollaro Custom Furniture. The Pitt-Pollaro collection was featured in over 300 publications globally. Pitt and Pollaro continue to collaborate with new pieces planned for release in 2019. Frank has been the subject of more than 400 articles in the decorative arts press and has personally authored more than 30 articles on fine woodworking, and has lectured nationwide on Ruhlmann and woodworking business. Richard Hadida is a successful British entrepreneur. In 2006 he founded Evolution Gaming, the leading gaming software business, which he subsequently floated on the Swedish Stock Exchange with a Market Cap of £2 Billion. Evolution employs over 5000 people across 10 countries. Richard has been enjoying sailing Oysters for the past 5 years. Richard brings an exciting vision for the future of Oyster Yachts and is committed to Oyster for the Long Term. Maria Sole Ferragamo has always had a passion for making things with her hands. Perhaps this stems from growing up in Florence, a city defined by its architectural beauty and highly skilled craftsmen, or it could be from being born into a family where design is king. Either way, a love of craftsmanship filters through to all of her creations. Maria Sole founded SO-LE Studio in November 2017 and opened up her first pop-up store in London. Having worked for a short time in two factories creating pieces with leather and metal, she had a clear vision of what she wanted to do: turn the beautiful leather that is abandoned by the fashion and luxury industry each year into a cherished piece of jewellery. She has a Master’s degree from Central Saint Martins University and won first place in the fourth International Design Competition ‘Craft the Leather’, and has held exhibitions in Milan and Rome to showcase her designs. She also has a degree from Politecnico of Milan, which gave solid foundations to her design process. Maria Sole Ferragamo has always had a passion for making things with her hands. Perhaps this stems from growing up in Florence, a city defined by its architectural beauty and highly skilled craftsmen, or it could be from being born into a family where design is king. Either way, a love of craftsmanship filters through to all of her creations. Maria Sole founded SO-LE Studio in November 2017 and opened up her first pop-up store in London. Having worked for a short time in two factories creating pieces with leather and metal, she had a clear vision of what she wanted to do: turn the beautiful leather that is abandoned by the fashion and luxury industry each year into a cherished piece of jewellery. She has a Master’s degree from Central Saint Martins University and won first place in the fourth International Design Competition ‘Craft the Leather’, and has held exhibitions in Milan and Rome to showcase her designs. She also has a degree from Politecnico of Milan, which gave solid foundations to her design process. Traver Kennedy is Co-Founder and Chief Executive Officer of Joi Scientific, an emerging clean energy company committed to making clean and affordable hydrogen energy available to all. Traver's efforts have earned him global recognition. The World Economic Forum named him a "Technology Pioneer " for his contributions to technology and society. He was also ranked by Network World as one of the "25 Most Powerful People" in technology alongside Bill Gates, John Chambers and Michael Dell. Before co-founding Joi Scientific, Traver was Chief Strategist at Citrix (NASDAQ: CTXS) where he was a driving force behind the company's post-IPO growth, helping to establish it as one of the world's largest S&P 500 and NASDAQ 100 software companies in record time. While at Citrix he founded and served as Chairman of the ASP Industry Consortium, an international advocacy group formed by 500 leading technology companies to set worldwide standards for the ASP (Application Service Provider) industry, which ultimately ushered in the cloud computing era. Many have labelled him the "Father of the ASP Industry. " Traver is passionate about environmental and humanitarian projects that range from ancient forest preservation in Ghana and coral reef protection in Haiti with One Village Planet, to establishing the world's first Cyber Sister Cities to improve education, health and economic opportunities in developing communities with Sister Cities International and the World Bank Institute. Traver Kennedy is Co-Founder and Chief Executive Officer of Joi Scientific, an emerging clean energy company committed to making clean and affordable hydrogen energy available to all. Traver's efforts have earned him global recognition. 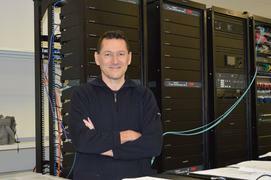 The World Economic Forum named him a "Technology Pioneer " for his contributions to technology and society. He was also ranked by Network World as one of the "25 Most Powerful People" in technology alongside Bill Gates, John Chambers and Michael Dell. Traver is passionate about environmental and humanitarian projects that range from ancient forest preservation in Ghana and coral reef protection in Haiti with One Village Planet, to establishing the world's first Cyber Sister Cities to improve education, health and economic opportunities in developing communities with Sister Cities International and the World Bank Institute. Tony Gee has over 13 years of security experience, he has worked both as an internal blue team consultant within the finance industry and for the technology partner for the world leading Oyster card system and more latterly as an external security tester and auditor. Tony speaks the world over at technology events highlighting key risks with the internet of things, automotive and maritime and key payment systems. Tony is able to illustrate and demonstrate critical issues in these systems in a way the audiences of all levels can understand. He has spoken at PCI events in Europe and Asia, at the SC Congress in London, technical conferences such as BSides and many other partner events, including speaking at the US Congress, European Central Bank and the European Parliament. Tony Gee has over 13 years of security experience, he has worked both as an internal blue team consultant within the finance industry and for the technology partner for the world leading Oyster card system and more latterly as an external security tester and auditor. The daughter of Luca Bassani, founder of Wally Yachts, Geraldina Bassani owns her own fashion label and has a flagship store in Milan as well as standalone boutiques in St. Moritz and Porto Cervo. Called Geraldina, the brand defines itself as “anti-fashion”, ignoring trends and seasons in order to create bespoke products with impeccable attention to detail and the highest quality fabrics. The range is aimed at what Geraldina perceives to be a gap in the market – a 30+ luxury focused audience, which wants stylish pieces that don’t compromise on comfort. Prior to launching her own company, Geraldina worked as a consultant for brands such as Massimo Piombo, Aperlai and Alexander Birman. She paved the way for a career in fashion and design by studying at Central Saint Martins under a renowned professor, the late Louise Wilson. The daughter of Luca Bassani, founder of Wally Yachts, Geraldina Bassani owns her own fashion label and has a flagship store in Milan as well as standalone boutiques in St. Moritz and Porto Cervo. Called Geraldina, the brand defines itself as “anti-fashion”, ignoring trends and seasons in order to create bespoke products with impeccable attention to detail and the highest quality fabrics. The range is aimed at what Geraldina perceives to be a gap in the market – a 30+ luxury focused audience, which wants stylish pieces that don’t compromise on comfort. Prior to launching her own company, Geraldina worked as a consultant for brands such as Massimo Piombo, Aperlai and Alexander Birman. She paved the way for a career in fashion and design by studying at Central Saint Martins under a renowned professor, the late Louise Wilson. A passionate sailor and skier, Franco Loro Piana founded clothing brand SEASE back in 2016, along with his brother Giacomo. A luxury menswear brand conceived with the next generation in mind, his pieces are designed to work in both urban and natural environments – from the centre of Monaco or New York City, to the Alps and the open seas. Prior to launching the company, Franco worked for the family business, Loro Piana, and honed his approach to retail while in the United States. Steve Keeling is one of the founders and directors of DKT Artworks, a team of imaginative and highly skilled artists that specialises in bespoke decorative finishes and site-specific artworks. Steve graduated from Bath Academy of Art in Fine Art – Sculpture. After moving to London and following a brief stint in Theatre, TV and film, making sets, props and special effects, in 1979, Steve co-founded DKT Artworks with his college friends Sean Trowbridge and Niki Davies, an industrial designer and fine art painter, respectively. At the time the company was formed, Steve was still funding his training to become a commercial pilot, a lifelong passion, but soon realised that the purpose of DKT was more fulfilling and in line with his creativity and temperament. To date, DKT Artworks, with studios in London and Prague, comprises a 40 strong team of multi-skilled artists and has worked on 70+ superyacht projects, in cooperation with the most renowned and prestigious designers in the world. 4 yachts featuring DKT Artworks’ bespoke finishes, Dar, Elandess, Irisha and Volpini 2, are all finalists of the 2019 Boat International Design & Innovation Awards. Steve Keeling is one of the founders and directors of DKT Artworks, a team of imaginative and highly skilled artists that specialises in bespoke decorative finishes and site-specific artworks. Steve graduated from Bath Academy of Art in Fine Art – Sculpture. After moving to London and following a brief stint in Theatre, TV and film, making sets, props and special effects, in 1979, Steve co-founded DKT Artworks with his college friends Sean Trowbridge and Niki Davies, an industrial designer and fine art painter, respectively. At the time the company was formed, Steve was still funding his training to become a commercial pilot, a lifelong passion, but soon realised that the purpose of DKT was more fulfilling and in line with his creativity and temperament. To date, DKT Artworks, with studios in London and Prague, comprises a 40 strong team of multi-skilled artists and has worked on 70+ superyacht projects, in cooperation with the most renowned and prestigious designers in the world. 4 yachts featuring DKT Artworks’ bespoke finishes, Dar, Elandess, Irisha and Volpini 2, are all finalists of the 2019 Boat International Design & Innovation Awards. 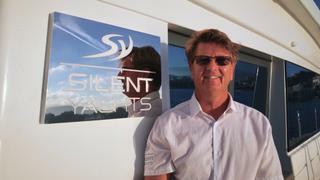 Michael Kohler is the CEO of SILENT-YACHTS, the first and still the only company in the world that produces oceangoing yachts that are powered entirely by solar energy. Michael's company has been building boats for 10 years. During the last 3 years it has sold more than a dozen solar powered catamarans. The current range has 3 models: the Silent 55, 64 and 79. They recently started the construction of 3 units of their latest model, the flagship Silent 79. Along with his wife Heike, the pair have received several awards for their research on alternative energy production and consumption on boats recently, and for how they’ve applied their findings onboard. They have also lectured on energy consumption on superyachts, and have published a book together on the subject, "Energy Supply on Yachts". Together, they have spent over 5000 days on board their yachts, and have sailed over 75,000 Nm around the world. Michael Kohler is the CEO of SILENT-YACHTS, the first and still the only company in the world that produces oceangoing yachts that are powered entirely by solar energy. Michael's company has been building boats for 10 years. During the last 3 years it has sold more than a dozen solar powered catamarans. The current range has 3 models: the Silent 55, 64 and 79. They recently started the construction of 3 units of their latest model, the flagship Silent 79. Along with his wife Heike, the pair have received several awards for their research on alternative energy production and consumption on boats recently, and for how they’ve applied their findings onboard. They have also lectured on energy consumption on superyachts, and have published a book together on the subject, "Energy Supply on Yachts". Together, they have spent over 5000 days on board their yachts, and have sailed over 75,000 Nm around the world. One of the key people involved in the restoration of the beautiful yacht Alicia, Robert Walsh is the founder and MD of Woodworks by Ted Todd. His passion for wood began 25 years ago, when he began reclaiming and restoring antique wood floors by hand, working from the ground up to develop a deep understanding of how to work with rare pieces of timber. Today, Todd’s team are the go-to specialists for owners that need timbers to match a specific period or look, and the company’s new and reclaimed wood floors, paneling and joinery are the best in class. 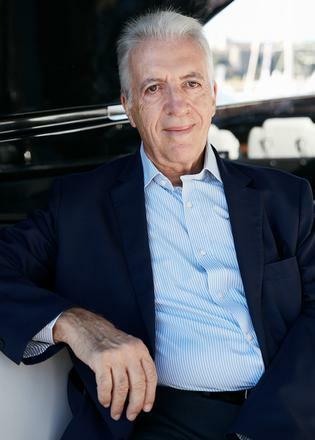 Piero Ferrari, son of Enzo Ferrari, discovered a passion for boats in his early adulthood. This desire has led to an ownership of over 20 vessels – including a variety of sailboats, fast boats and displacement boats - most of his time has been spent as yacht owner at the helm, captaining the vessels himself. Today Piero is the proud owner of the newly launched Riva 110' Dolcevita and Custom Line Navetta 37 motor yacht Race, with the Riva 50 superyacht, the biggest yacht the yard has ever built, currently in build and due to launch in March 2019. Piero is currently Vice President of Ferrari N.V., President of automotive engineering and manufacturing company HPE COXA and Vice President of Ferretti Group. Piero has a degree in Aerospace Engineering from the University of Naples "Federico II" and Mechanical Engineering from the University of Modena and Reggio Emilia. Piero Ferrari, son of Enzo Ferrari, discovered a passion for boats in his early adulthood. This desire has led to an ownership of over 20 vessels – including a variety of sailboats, fast boats and displacement boats - most of his time has been spent as yacht owner at the helm, captaining the vessels himself. Today Piero is the proud owner of the newly launched Riva 110' Dolcevita and Custom Line Navetta 37 motor yacht Race, with the Riva 50 superyacht, the biggest yacht the yard has ever built, currently in build and due to launch in March 2019. Piero is currently Vice President of Ferrari N.V., President of automotive engineering and manufacturing company HPE COXA and Vice President of Ferretti Group. Piero has a degree in Aerospace Engineering from the University of Naples "Federico II" and Mechanical Engineering from the University of Modena and Reggio Emilia. Francesco Ansalone has been Marketing & Communication Manager for Arcadia Yachts since 2016 and has an innate passion for sailing and yachting. He has spent a number of years in the yachting industry, as FERRETTI Group Strategic Marketing Manager and AZIMUT | BENETTI Group where he covered several positions up to Group Marketing Director. His interest and knowledge of the current yachting market dynamics and key drivers of UHNWI can be traced back to his time as Head of Marketing - Southern Europe for CREDIT SUISSE PRIVATE BANKING. Francesco also spend time at Mckinsey & Co. within the Engineering and Top Management Consulting Experience. Francesco strongly believes that fair and transparent discussions are the foundation for working together to reach the best solutions. “Truth is found neither in the thesis nor the antithesis, but in an emergent synthesis which reconciles the two.” by Georg Wilhelm Friedrich Hegel, is one Francesco’s favourite quotes. Francesco Ansalone has been Marketing & Communication Manager for Arcadia Yachts since 2016 and has an innate passion for sailing and yachting. He has spent a number of years in the yachting industry, as FERRETTI Group Strategic Marketing Manager and AZIMUT | BENETTI Group where he covered several positions up to Group Marketing Director. His interest and knowledge of the current yachting market dynamics and key drivers of UHNWI can be traced back to his time as Head of Marketing - Southern Europe for CREDIT SUISSE PRIVATE BANKING. Francesco also spend time at Mckinsey & Co. within the Engineering and Top Management Consulting Experience. Francesco strongly believes that fair and transparent discussions are the foundation for working together to reach the best solutions. “Truth is found neither in the thesis nor the antithesis, but in an emergent synthesis which reconciles the two.” by Georg Wilhelm Friedrich Hegel, is one Francesco’s favourite quotes. Alain Janet is the CEO of SOLAR CLOTH SYSTEM. Based on a proprietary patent, Solar Cloth System is today the only company integrating a photovoltaic thin film in a textile base. This new solar product was conceived by Alain so it could be furled and able to withstand maritime harsh conditions. A 12 year experience in the design and innovative technology of encapsulation for racing sails, took Alain and his team all the way to the 2012 America’s Cup, and then to the next step, the first solar sail. In 2014, Alain integrated for the first time a very thin photovoltaic film into a sail racing membrane. The first Powersail ® had been created. Tested during the Route du Rhum that same year, the technology was refined and developped for several yachting applications, leading to a new succesful test at the Vendée Globe 2016-2017. Sail Magazine and the American Yachting Industry awarded Alain’s new product the prestigious Pittman Innovation Award in 2016. Besides yachting, Solar Cloth System supplies the French Space Agency with an aerospace qualified product, contributes in the US to a new solar membrane for airships and collaborates with the French military. In 2018 Alain developped and patented, with two reknown agronomist engineers, an automated solar sun shade for greenhouses. For once, the Industry sources its innovation from Yachting, a very satisfying way to go. Alain Janet is the CEO of SOLAR CLOTH SYSTEM. Based on a proprietary patent, Solar Cloth System is today the only company integrating a photovoltaic thin film in a textile base. This new solar product was conceived by Alain so it could be furled and able to withstand maritime harsh conditions. A 12 year experience in the design and innovative technology of encapsulation for racing sails, took Alain and his team all the way to the 2012 America’s Cup, and then to the next step, the first solar sail. In 2014, Alain integrated for the first time a very thin photovoltaic film into a sail racing membrane. The first Powersail ® had been created. Tested during the Route du Rhum that same year, the technology was refined and developped for several yachting applications, leading to a new succesful test at the Vendée Globe 2016-2017. Sail Magazine and the American Yachting Industry awarded Alain’s new product the prestigious Pittman Innovation Award in 2016. Besides yachting, Solar Cloth System supplies the French Space Agency with an aerospace qualified product, contributes in the US to a new solar membrane for airships and collaborates with the French military. In 2018 Alain developped and patented, with two reknown agronomist engineers, an automated solar sun shade for greenhouses. For once, the Industry sources its innovation from Yachting, a very satisfying way to go. Mark Vermeulen is Director Products & Developments for AMELS, DAMEN Yacht Support and DAMEN SeaXplore as well as a member of the management team, leading the Damen Shipyards Group’s luxury yachting division. He proudly heads the talented and dedicated in-house department of naval architects and luxury yacht design specialists, with the highest quality and most exciting yachts, expedition vessels and superyacht support ships coming from their drawing boards. Mark works with clients and their teams around the world with a keen focus on meeting their exact requirements for unique luxury yachting experiences. Mark started in the commercial shipbuilding and repair world over 25 years ago, after receiving a masters in naval architecture from Delft. Mark Vermeulen is Director Products & Developments for AMELS, DAMEN Yacht Support and DAMEN SeaXplore as well as a member of the management team, leading the Damen Shipyards Group’s luxury yachting division. He proudly heads the talented and dedicated in-house department of naval architects and luxury yacht design specialists, with the highest quality and most exciting yachts, expedition vessels and superyacht support ships coming from their drawing boards. Mark works with clients and their teams around the world with a keen focus on meeting their exact requirements for unique luxury yachting experiences. Mark started in the commercial shipbuilding and repair world over 25 years ago, after receiving a masters in naval architecture from Delft. Glen Read is Project Manager of the innovative ‘Woodshack’ joinery company, founded following the successful restoration of the beautiful 50 metre, 1930s classic motor yacht ‘Alicia’. Having competed at the highest level of international yacht racing, including the International Moth and 18 Foot Skiff World Championships, Glen Read combines his experience of the wild, adrenaline-fuelled world of competitive yachting with a passion for fine craftsmanship, immaculate design and the utmost attention to detail. Having trained as a joiner back in his native New Zealand, Glen started work in his country’s thriving superyacht industry in the early 2000s and has since worked through the ranks to now lead a team of some of the best craftsmen the UK marine industry has to offer. He has gained valuable experience over the last 18 years working across Europe, the Middle East and America and has been responsible for delivering a wide range of interiors in a range of designs, from Wally Cento’s ultra-light weight racing yachts through to elegant traditional interiors such as on board ‘Alicia’. Glen is driven by a desire to embark on some of the world’s most unique yacht design projects, bringing his energy, skills and insight to deliver projects of unrivalled imagination and quality. 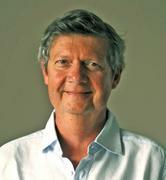 Andrew Winch has been in the specialist yacht design environment for over thirty years. Having grown up sailing on the south coast of England in dinghies and cruising yachts, his love of the sea embodies all of his work. Formal training at St Martins’ School of Art, London and Kingston College of Art laid the foundations for his career. This was followed by a year sailing as a crew member across the Atlantic and in the Caribbean on a private 52foot sailing yacht. On his return he joined Jon Bannenberg Ltd as an apprentice designer. Here he learned his trade and went on to collaborate with Bannenberg on a number of major sailing yachts. He then started ‘Andrew Winch Designs’ in 1986 with his wife Jane, successfully nurturing the business over the past 32 years, rebranding to ‘Winch Design’ in 2016. Recognised as one of the world’s leading superyacht designers, Andrew’s unerring attention to detail and quest to push design and technical boundaries has successfully taken the business into the wider areas of aviation, architecture and interior design. 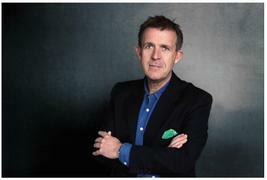 Andrew continues to inspire the ever-growing team with his vision and creative energy on a daily basis. Anodized Aluminum is Alex Rasmussen’s metier. He is the third generation owner of Neal Feay Company in Santa Barbara. Founded in 1945 by Neal Faye Rasmussen, the company is completely vertically integrated to produce work in anodized aluminum. Alex grew up surfing, working in the factory, and hanging out in the back of art classes taught by his mother. He received a degree from the University of Southern California in the Entrepreneur program. He is an autodidactic industrial designer who has designed products in his material for over 30 years. Initially specializing in enclosures for high end audio, he has now moved into projects that range from production furniture with Hermés and Holly Hunt, to large scale architectural features and other fixtures. He lives in an ocean view house in Santa Barbara with his wife Eileen. She is an integral part of guiding the company, a trustee at Lotusland, and an expert on luxury and fashion. They own two boats - power and sail. Alex races his 10.5 meter yacht in one-design regattas with a crew formed mainly of long term employees. The power boat is used by the same crew to explore the Channel Islands on surf trips. Both boats are places for on-the-water meetings with Neal Feay Company customers and collaborators, as well a place to test new products in the ocean. The Pacific is a constant source of inspiration and motivation for the whole Neal Feay Company Team. Bespoke work for designers in international high end residences and select businesses is a new a core facet of the Neal Feay Company business. Alex has overseen large scale projects on two yachts already with more in the works. The demands in the super yacht segment for precision, light weight, modular work - further leveraged by their unique custom techniques - makes this area the perfect place for Neal Feay Company to work. Anodized Aluminum is Alex Rasmussen’s metier. He is the third generation owner of Neal Feay Company in Santa Barbara. Founded in 1945 by Neal Faye Rasmussen, the company is completely vertically integrated to produce work in anodized aluminum. Alex grew up surfing, working in the factory, and hanging out in the back of art classes taught by his mother. He received a degree from the University of Southern California in the Entrepreneur program. He is an autodidactic industrial designer who has designed products in his material for over 30 years. Initially specializing in enclosures for high end audio, he has now moved into projects that range from production furniture with Hermés and Holly Hunt, to large scale architectural features and other fixtures. He lives in an ocean view house in Santa Barbara with his wife Eileen. She is an integral part of guiding the company, a trustee at Lotusland, and an expert on luxury and fashion. They own two boats - power and sail. Alex races his 10.5 meter yacht in one-design regattas with a crew formed mainly of long term employees. The power boat is used by the same crew to explore the Channel Islands on surf trips. Both boats are places for on-the-water meetings with Neal Feay Company customers and collaborators, as well a place to test new products in the ocean. The Pacific is a constant source of inspiration and motivation for the whole Neal Feay Company Team. Bespoke work for designers in international high end residences and select businesses is a new a core facet of the Neal Feay Company business. Alex has overseen large scale projects on two yachts already with more in the works. The demands in the super yacht segment for precision, light weight, modular work - further leveraged by their unique custom techniques - makes this area the perfect place for Neal Feay Company to work. Dickie Bannenberg can truthfully lay claim to Bannenberg DNA, besides working alongside his late father Jon for almost 20 years as a project manager on yachts as diverse as Thunder, Talitha and Siran. Life prior to yachting included a Geography degree from Cambridge ( he is a Fellow of the Royal Geographical Society ), and five years behind a manual typewriter and tin of Cow Gum at Condé Nast’s House & Garden. Today he heads up Bannenberg & Rowell Design, the direct descendent of the firm established by his father off the King’s Road in the mid 1960s. He will accept the title of Founder, albeit grudgingly. B&R continue to follow the standards and inspirations laid down by the original Founder and are proud to have built yachts at most of the leading yards in the world, accumulating a large crew of Neptunes along the way. Dickie lives in London near Chelsea Football Club ( who he does not support ) and is married with two twenty-something kids. He has no sailing pedigree whatsoever but is handy in a rowing boat and behind a camera lens. Dickie Bannenberg can truthfully lay claim to Bannenberg DNA, besides working alongside his late father Jon for almost 20 years as a project manager on yachts as diverse as Thunder, Talitha and Siran. Life prior to yachting included a Geography degree from Cambridge ( he is a Fellow of the Royal Geographical Society ), and five years behind a manual typewriter and tin of Cow Gum at Condé Nast’s House & Garden. Today he heads up Bannenberg & Rowell Design, the direct descendent of the firm established by his father off the King’s Road in the mid 1960s. He will accept the title of Founder, albeit grudgingly. B&R continue to follow the standards and inspirations laid down by the original Founder and are proud to have built yachts at most of the leading yards in the world, accumulating a large crew of Neptunes along the way. Dickie lives in London near Chelsea Football Club ( who he does not support ) and is married with two twenty-something kids. He has no sailing pedigree whatsoever but is handy in a rowing boat and behind a camera lens. Having worked on the groundbreaking documentary ‘A Plastic Ocean’, filmmaker and biologist Tom Arden joined up with A Plastic Planet (APP) Co-founders Sian Sutherland and Frederikke Magnussen to create an organisation that is pro-business and pro-solutions. APP launched in 2017 with a single goal - to ignite and inspire the world to turn off the plastic tap. Since then they have opened the World's First Plastic Free Aisle, launched the Plastic Free Consumer Trust Mark, and created One Plastic Free Day, engaging 1/4 bn people worldwide. In 2019 they plan to launch the world’s most thorough solution focussed platform empowering businesses and individuals alike to turn off the plastic tap. As an avid sailor and fisherman, Tom’s interest in conserving the state of our oceans and environment is both professional and personal. His films covering this issue have drawn a global audience of over 10 Million people. Having worked on the groundbreaking documentary ‘A Plastic Ocean’, filmmaker and biologist Tom Arden joined up with A Plastic Planet (APP) Co-founders Sian Sutherland and Frederikke Magnussen to create an organisation that is pro-business and pro-solutions. APP launched in 2017 with a single goal - to ignite and inspire the world to turn off the plastic tap. Since then they have opened the World's First Plastic Free Aisle, launched the Plastic Free Consumer Trust Mark, and created One Plastic Free Day, engaging 1/4 bn people worldwide. In 2019 they plan to launch the world’s most thorough solution focussed platform empowering businesses and individuals alike to turn off the plastic tap. As an avid sailor and fisherman, Tom’s interest in conserving the state of our oceans and environment is both professional and personal. His films covering this issue have drawn a global audience of over 10 Million people. Susie Atkinson is an award winning and internationally renowned interior designer, as well as designer of furniture and lighting. She set up her own studio and quickly rose to prominence as the lead designer of high-profile projects for the Soho House Group, including Shoreditch House, Babington House and Soho House Berlin. More recent projects include the award-winning Beaverbrook Hotel & Golf Club, Queens Tennis & Racquets Club together with many private houses in both the UK and abroad. Susie’s much imitated style combines vintage and contemporary elements, natural materials, colour and texture into a blend of understated luxury with an element of cool, establishing a blueprint that raised the bar for private members clubs, private houses and boutique hotels all over the world. Her design philosophy is to focus on enhancing the architecture of a space without compromising on a high level of sophistication, comfort and excellence in craftmanship, which is why her skill set has transferred seamlessly into creating beautiful results on her first boat project, MY Alicia. She enjoys collaborating with her clients to realise their dreams and aspirations; working closely with her excellent team, specialist workshops and craftsmen to create interiors which are entirely bespoke, stylish, with every detail considered and that indulge all the senses. Susie Atkinson is an award winning and internationally renowned interior designer, as well as designer of furniture and lighting. She set up her own studio and quickly rose to prominence as the lead designer of high-profile projects for the Soho House Group, including Shoreditch House, Babington House and Soho House Berlin. More recent projects include the award-winning Beaverbrook Hotel & Golf Club, Queens Tennis & Racquets Club together with many private houses in both the UK and abroad. Susie’s much imitated style combines vintage and contemporary elements, natural materials, colour and texture into a blend of understated luxury with an element of cool, establishing a blueprint that raised the bar for private members clubs, private houses and boutique hotels all over the world. Her design philosophy is to focus on enhancing the architecture of a space without compromising on a high level of sophistication, comfort and excellence in craftmanship, which is why her skill set has transferred seamlessly into creating beautiful results on her first boat project, MY Alicia. She enjoys collaborating with her clients to realise their dreams and aspirations; working closely with her excellent team, specialist workshops and craftsmen to create interiors which are entirely bespoke, stylish, with every detail considered and that indulge all the senses. 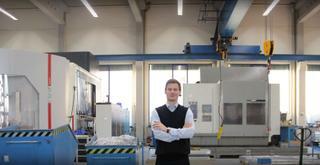 Tom Nowak is the Sales Manager of EDELSCHMIED, a specialist company in innovative 3D metal printing since 1995. EDELSCHMIED, a subsidiary company of H+E Produktentwicklung, uses state-of-the-art technology to create outstanding results for your geometrically challenged product ideas quickly, mould-free and resource-efficiently. Prior to joining EDELSCHMIED, Tom spent time travelling around the world with his family and focused on studying the technology behind cryptocurrency and blockchain. Tom became an adviser to individuals and companies who were interested to invest. Tom Nowak is the Sales Manager of EDELSCHMIED, a specialist company in innovative 3D metal printing since 1995. EDELSCHMIED, a subsidiary company of H+E Produktentwicklung, uses state-of-the-art technology to create outstanding results for your geometrically challenged product ideas quickly, mould-free and resource-efficiently. Prior to joining EDELSCHMIED, Tom spent time travelling around the world with his family and focused on studying the technology behind cryptocurrency and blockchain. Tom became an adviser to individuals and companies who were interested to invest. 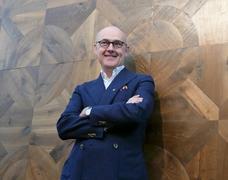 Franco Romani is Style & Design Director of Perini Navi. He joined the company in December 1983, when he was in his early 20’s, and since then he has been designing almost all of the Perini Navi fleet. Since the shipyard’s foundation, he has been working under the guidance of Mr. Fabio Perini, who invented a new concept for the design, construction and handling of large sailing yachts that drew on cutting-edge technology and a different distribution of space. As a young designer, Franco gave shape to Mr. Perini’s ideas and concepts, contributing to the launch of ground-breaking sailing yachts, featuring the elegant, chic lines that have become the trademark of the shipyard. This year marks his 35th anniversary with the company. On the occasion of this milestone, Franco has penned the lines of the latest Perini Navi projects, ranging from the contemporary reinterpretation of the Classic Perini Navi sailing yachts, to the brand new E-volution sailing yachts as well as the Argonaut motor yacht collection, featuring the highly identifiable Perini Navi lines. Understated elegance is Franco’s signature style and is what has greatly contributed to make Perini Navi what it is today. 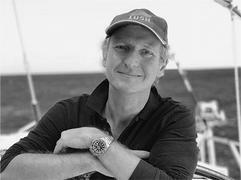 Franco Romani is Style & Design Director of Perini Navi. He joined the company in December 1983, when he was in his early 20’s, and since then he has been designing almost all of the Perini Navi fleet. Since the shipyard’s foundation, he has been working under the guidance of Mr. Fabio Perini, who invented a new concept for the design, construction and handling of large sailing yachts that drew on cutting-edge technology and a different distribution of space. As a young designer, Franco gave shape to Mr. Perini’s ideas and concepts, contributing to the launch of ground-breaking sailing yachts, featuring the elegant, chic lines that have become the trademark of the shipyard. This year marks his 35th anniversary with the company. On the occasion of this milestone, Franco has penned the lines of the latest Perini Navi projects, ranging from the contemporary reinterpretation of the Classic Perini Navi sailing yachts, to the brand new E-volution sailing yachts as well as the Argonaut motor yacht collection, featuring the highly identifiable Perini Navi lines. Understated elegance is Franco’s signature style and is what has greatly contributed to make Perini Navi what it is today. CEO and Founder of ANCHOR-VR, Anastasia Yushkova started her career in The Superyacht Industry in 2005, as Editor-in-Chief for Boat International magazine and The Superyachts book in the Russian market. From 2011 she steered the relaunch of Yachting, Russia's Premier Marine Magazine, leading its total digital transformation. She did marketing communications consultancy for Burgess in Russia and translated the Galactica Star book for Heesen Yachts into Russian. After the 2014 Winter Olympics in Sochi, she took part in strategy development for The Sochi Marine Club and new Sochi Grand Marina and built a national and international communications campaign for the first SCF Black Sea Tall Ships Regatta. Anastasia holds an MBA in Marketing and Sales from Vienna University of Economics and Business and an MA in Journalism from Moscow State University. Beyond business, she extensively collaborates with media, covering superyacht industry news for Vedomosti, a leading Russian daily business newspaper. CEO and Founder of ANCHOR-VR, Anastasia Yushkova started her career in The Superyacht Industry in 2005, as Editor-in-Chief for Boat International magazine and The Superyachts book in the Russian market. From 2011 she steered the relaunch of Yachting, Russia's Premier Marine Magazine, leading its total digital transformation. She did marketing communications consultancy for Burgess in Russia and translated the Galactica Star book for Heesen Yachts into Russian. After the 2014 Winter Olympics in Sochi, she took part in strategy development for The Sochi Marine Club and new Sochi Grand Marina and built a national and international communications campaign for the first SCF Black Sea Tall Ships Regatta. Anastasia holds an MBA in Marketing and Sales from Vienna University of Economics and Business and an MA in Journalism from Moscow State University. Beyond business, she extensively collaborates with media, covering superyacht industry news for Vedomosti, a leading Russian daily business newspaper.